By Zack Quaintance — This is a rare week, possible one-of-a-kind in the history of this website: all five of our top picks of the week are from totally different publishers. That’s right, in our Top Comics to Buy for January 23, 2019, we have comics from DC, Image, Marvel, Scout, and Valiant Entertainment. Let’s just take a moment here to savor the diversity of excellent books currently being released. Okay, there. Back with us now? Good. This isn’t maybe the most bountiful new week for monthly comics, but it’s definitely one of those weeks wherein the quality of the releases outweighs the quantity. It’s one of those weeks where I really had to fight to limit the number of picks for the top 5 to five, thereby not compromising the very concept this weekly piece is built upon (which, admittedly, I’ve done in the past). Comics like Avengers #13, Cover #5, and Naomi #1 all missed out by just a hair. I mean, there was even a moment I considered Aquaman #44 for inclusion. Why It’s Cool: When The Wild Storm launched however many months ago, I was right away enthralled. It was Warren Ellis (a long-time favorite writer of mine) doing an entirely new modern take on characters he’d been writing for years, characters he understood better than anybody on the planet. I knew then if he had a new story to tell with them, it would very well be worth reading. Pair him with one of my favorite artists—Jon Davis-Hunt of Clean Room—and the book was already made for me. What made it all the more enticing, though, was that Ellis was hinting in interviews that a bigger (perhaps more familiar) team comic would spin out of this first 24-issue run. I knew right then it would be The Authority. If you’re interested in that sort of thing, this issue and the rest of this run is very much a must read comic. "HULK IN HELL" PART TWO! It whispers through many mouths. It destroys with many hands. Its only weapon is hate. It wears human souls like masks on a stage to work its will on the world - but in the lowest hell, underneath all others, all the masks come off......and THE ONE BELOW ALL is revealed. 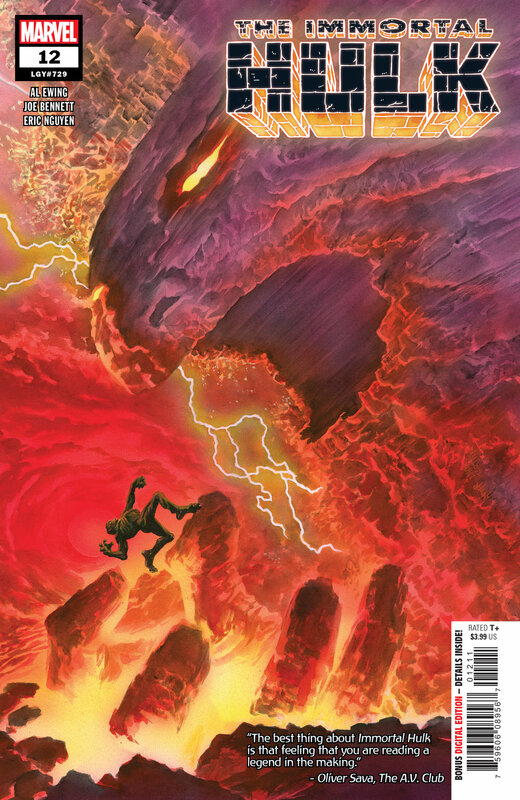 Why It’s Cool: It’s a week with a new issue of Immortal Hulk, and, as such, that means it’s a week wherein we include Immortal Hulk in our Top Comics to Buy. It’s pretty simple really—this comic came out the gate as a fantastic extrapolation of the Hulk concept that’s been present since essentially the start of the Marvel Universe, taking it to logically extremes that have enabled some truly chilling storytelling. The story has gone in unexpected directions without dipping at all in quality, and, as a result, this is a comic not to be missed. Why It’s Cool: Collectively here at Batman’s Bookcase, Vita Ayala is one of our favorite rising writers. Meanwhile, the comic art team of Raul Allen and Patricia Martin regularly create some of our favorite visuals in the industry. It’s pretty much an ideal comics alchemy scenario to now have all of them collaborating on a book like Valiant’s Livewire, which features a fantastic character that until lately had been kept in the background or on the sidelines for far too long. To top that all off, we absolutely loved Livewire #1 and the follow-up issue is not a drop in quality at all. Put simply, you should all be reading this fantastic comic. 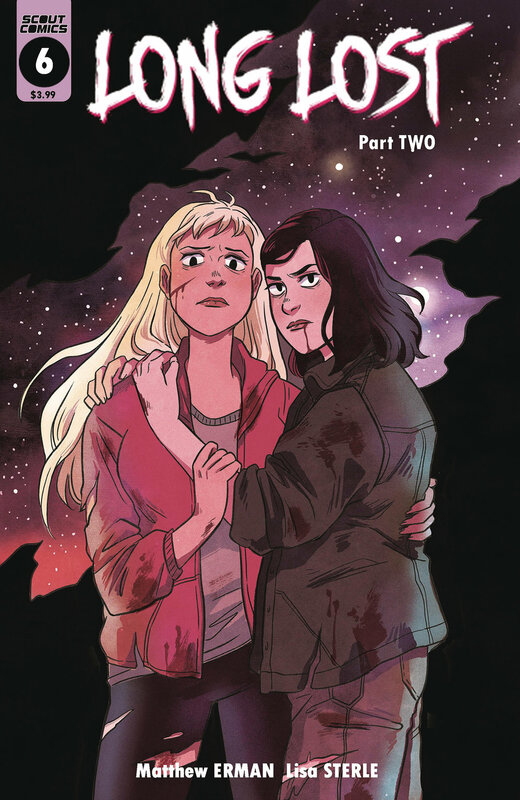 The series finale of Scout Comics' critically acclaimed bizarre horror story that has been called "quite possibly the best Southern Gothic comic" about two sisters, Piper and Frances Laurent, and their horrific adventure through their disintegrating hometown, a shared traumatic history, as well as space and time. Everything has been leading up to this. The end is here! Why It’s Cool: Look, I don’t know how many more nice things I have to say about Long Lost. As I’ve written in reviews as well as in our Best of 2018 lists, this comic is quiet and special. A slow-burning literary story that speaks to the existential dread found in the left-behind hometowns of a generation of people who’ve started new (sometimes lonely) lives in bigger cities. This ending is exactly what I personally wanted, although I won’t reveal anything else about it so as to avoid spoilers. 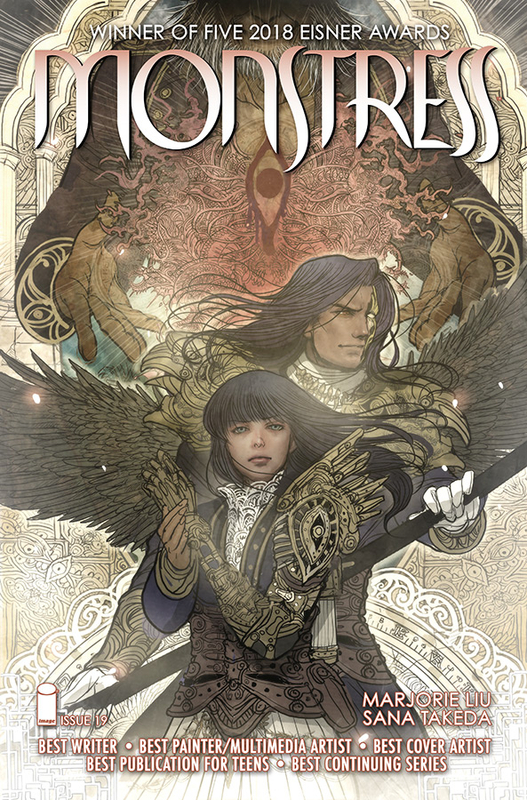 Why It’s Cool: It says it right there on the cover of Monstress #19—this is a five-time Eisner Award-winning comic. Part of the reason I volunteer my time to edit and coordinate this website is to help get the word out about my favorite comics, with a special emphasis on those I feel have flown a bit too under the radar. Until Monstress went to the Eisner Awards in San Diego last July and won basically everything, this book was at the top of my list. In the critical sense, I suppose I could be content about that. While reading this issue, however, it occured to me that I’m still not hearing enough about this amazing comic. Get the trades, savor them, and then please rejoin me for reading this comic in monthly format. It continues to be absolutely worth the investment.